This cast iron medallion features double profile portraits of George and Ellen Booth, founders of Cranbrook Educational Community in Bloomfield Hills, Michigan. 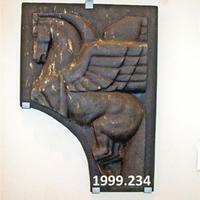 Fredericks taught ceramics and sculpture there from 1932 to 1943. 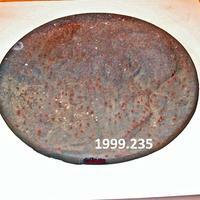 Cast in iron, it displays surface deterioration from being displayed outdoors.